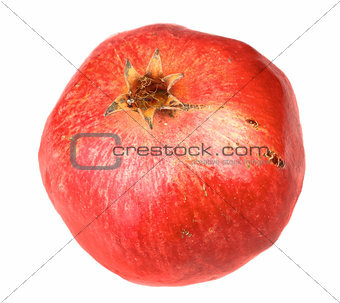 Image Description: Single fresh red pomegranate. Isolated on white background. Close-up. Studio photography. L 18.4 x 16.4 cm 7.2 x 6.5"